This is painful to say and even more painful to type but as the Capitals and Blue Jackets meet tonight it's in the Penguins fan's best interest to pull for the Capitals. If you haven't noticed the Columbus Blue Jackets are on kind of a hot streak. 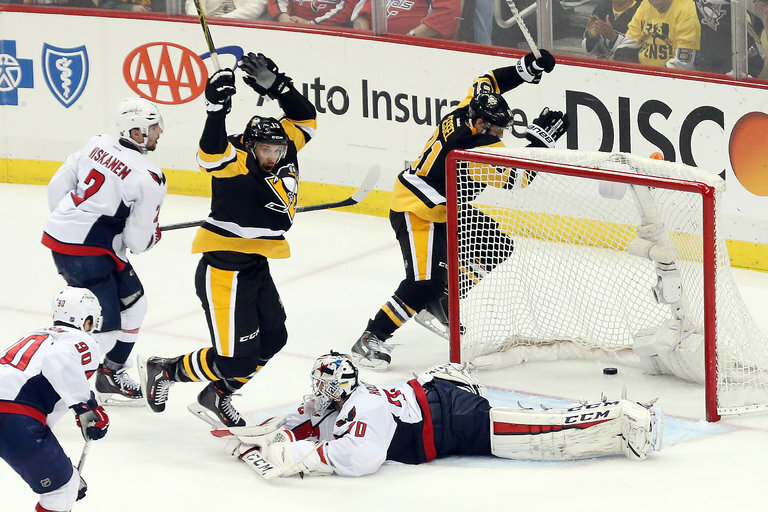 They've won 16 games in a row and with a win against the Capitals they will tie the 1992-93 Penguins win streak of 17 games. From there they face the Rangers and Flyers. Both of those games are ones they're capable of losing but... who wants to share? Records are made to be broken, yes. And win streaks do not a champion make. Look at the '92-'93 team as a prime example of this. However there's a pride in being the longest win streak. There's a pride is seeing what a team with Lemieux, Jagr, Francis, Tocchet, Murphy et al and coached by Scotty Bowman did to a league that wasn't prepared for them. Now, with the Blue Jackets at 16 wins, they risk sharing that record with a roster consisting of... who exactly? Brandon Dubinsky, Nick Foligno, Scott Hartnell, Brandon Saad are not Hall of Famers. They're not even that good in the annals of the NHL's 100 years of history. And yet they may share a record with some of the greatest to ever lace skates up. Take in to account that their coach is the reprehensible John Tortorella and boy oh boy does the bile growing in your throat for cheering on the Capitals seems to settle down your wind pipe. The Blue Jackets are a flash in the pan on a good streak. Aided by a shoot out win they've reached a high few teams have... and that's good for them! It helps grow a market in need of wanting some placement. It helps add a rivalry to the Penguins. It helps the NHL. However this is not a team built to withstand the rigors of the playoffs and will come crashing back to the planet once the win streak is snapped. It seems better to eliminate all pretense of them being historic right now. For one night, painful as it may be, it's best to just root for Ovie, Oshie, Backstrom and company to finish the Blue Jackets and begin their return to their even keel. Just for one night let's all rock the red and yell, "Go Caps Go!" Just drink until you can't feel anything.